Joomla User Group Stuttgart ist nicht Bestandteil der Open Source Matters oder des Joomla! Projekts. JUG Stuttgart is not affiliated with or endorsed by the Joomla!® Project or Open Source Matters. 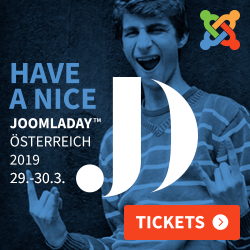 The Joomla!® name and logo is used under a limited license granted by Open Source Matters, the trademark holder in the United States and other countries.